The Kentucky Division of Motor Vehicles provides a current record of each driver’s motor vehicle history in the state of Kentucky. The history can be downloaded and printed in the form of a Kentucky DMV report. Drivers wondering how do I get my Kentucky driving record can do so by filling out this short request form to get an expedited copy of their Kentucky DMV driving record sent to them by email. The report is available in the form of a three-year report and contains information related to any accidents, suspensions, revocations, or traffic infractions. Each driver obtains a record that has their comprehensive report so they can know whether there are any points on their license as well as what the current status of their license is. It is recommended to check your Kentucky driving record so that you can make sure the information listed there is correct. What is on My Kentucky DMV Report? Each Kentucky DMV report contains a compilation of information specific to each driver. The report is consistently updated by the Kentucky DMV and any recent traffic events that are reported will also be reflected there. If you’re wondering how to get your KY driving record, you can fill out this short form to obtain your record right here online. The following information is likely to be found on your DMV driving record in Kentucky. How To Get My Personal KY Driving Record? Drivers who are curious about how to get their driving record in Kentucky can fill out a DMV record request form with the Kentucky Department of Motor Vehicles. However, the process can take a few days and requires waiting for your record to be sent to you by mail. Alternatively, drivers can also request a Kentucky MVR report online through 4safedrivers.com. This report is completely updated and is sourced directly from the Kentucky DMV. You can have your report sent to you by email and avoid the long wait of requesting your driving record through the local DMV. To get started, fill out a request form and we will send your Kentucky driving abstract to you by email. What Will You Find on Your Kentucky Motor Vehicle Report? Your Kentucky H6 printout provided by the Kentucky Division of Motor Vehicles contains a comprehensive listing of all of the information related to your history as a driver in the State of Kentucky. 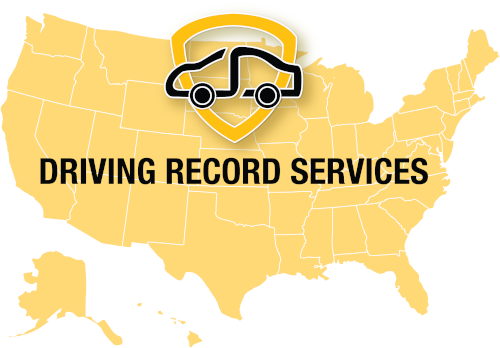 The report may be printed as a partial outline of your driver history or a complete record depending on where you source the driving record from. The Kentucky Division of Motor Vehicles keeps a tally of each driver’s license points which have been added over time. The KY driver abstract will reflect how many points an individual driver has on their driving history record. A specific point value is assigned to each traffic offense depending on the severity of the infraction. According to the Kentucky point system, between three and six points can be assigned to a driver record for each offense. Individuals who would like to know how many points are on their KY driver license can request a copy of their KY driver record. This report will display any information related to traffic infractions that were committed as well as the related points accrued as a result. Drivers wondering how to find out how many points on Kentucky license reports can do so online by filling out this short request form. How Do Kentucky DMV license points Affect Me? Points on your Kentucky driver’s license can impact your ability to drive in the state of Kentucky as well as out of state. Too many points collected in a specific period of time can result in a driver license being suspended as well as potentially revoked. Understanding the Kentucky suspension point system can aid you in making changes to your driving practices in order to avoid adding additional points to your driver record. The points assigned to your Kentucky driver’s record will accumulate over time. After a while, too many points on your Kentucky motor vehicle record can result in your license being suspended or revoked. Additionally, points on your license will have a direct impact on the rates that insurance companies extend to you. The more points you have, the less likely it is that you will be able to find affordable insurance coverage. This is why it’s important to regularly check your KY driver history to confirm the accuracy of the information listed there. What If There Are Mistakes On Your KY DMV History Report? If there are mistakes on your KY DMV history report, you can request that the erroneous information is officially removed by the Kentucky Division of Motor Vehicles. Kentucky drivers who are wondering how to get my driving record in Kentucky can do so by requesting a copy of their driving record online. How to Remove Points From KY DMV Report? Points on your KY DMV report can harm your chances of obtaining affordable insurance coverage. If you would like to remove some of the points on your Kentucky driving record, you can do so by enrolling in a defensive driving class. It is possible to apply for a point dismissal once every 12 months. You can protect your driver record by requesting points to be removed so you won’t compromise your chances of getting lower insurance rates. How Long Do Points Remain On My Kentucky Driving Record? Any driver’s license points that have accrued on your Kentucky driving record will remain there for five years after the initial offense date. Traffic points stay on the Kentucky MVR for two years. Why Check Your Kentucky Driving Record? Checking your Kentucky driving record can protect you from the adverse effects of having erroneous information being reported about you. When you check your Kentucky driving record online you will have a chance to correct any information listed there that may be inaccurate. Take the proactive step and request your DMV record printout in Kentucky today. By checking your Kentucky driving record online, you can find out what the status of your Kentucky license is. It helps to check your Kentucky DMV license report to find out for sure the status of your driver’s license. The driver history report will display whether or not the license is active, suspended, or if it has been revoked. If you committed a traffic violation in Kentucky or out of state that was reported to the Kentucky DMV, you will see this information listed on your report. Your KY MVR report will help you to know whether or not traffic offenses are still being reported. Demerit points on your Kentucky DMV license report can affect your auto insurance rates. Checking the number of license points you have collected will be much simpler when you have an actual Kentucky DMV printout. Get your DMV printout from 4safedrivers.com today. How Accurate Is My Personal Kentucky Driving Record? The Kentucky Division of Motor Vehicles has a complete database of every motorist’s driving history. At 4safedrivers.com, we offer access to the very same records that are maintained by the Kentucky DMV. This means you are getting your legitimate driving record, not just an online public record that may be missing important information. Rest assured knowing that we offer the most updated version of your Kentucky DMV report.